Humans originally selected dogs who barked a ton. Throughout history, dogs were used to sound the alarm of intruders or dangerous animals. Although we have modern alarms these days, those looking for a dog who announces the arrival of guests and deters intruders may find these pups to be a perfect fit. First bred to alert hunters of the whereabouts of foxes or other prey, Beagles are well-known for their impressive vocal cords. While these floppy-eared and playful pups have become a popular family dog over the last few decades, be advised their penchant for barking, baying and howling remains. Also part of the hound family, Dachshunds are particularly loud because of their deep chests. Originally bred to drive out burrowed game (like badgers), hunters made sure these dogs could be heard when they were fighting the good fight underground. Another hound, these mainly American-made breeds (Black and Tan, Redbone, Plott, Treeing Walker) are known for their baying. Why? They were trained and bred to scent, corner and tree raccoons independently, roaming far ahead of their hunters. So, humans gave them a built in GPS. A very loud GPS. They’re…vocal. A bigger version of the Beagle, these dogs were specifically made to track and hunt foxes or other larger prey. Thus, the need for an athletic, barking, baying and howling-inclined dog. This lazy low-rider is a popular dog with both country and city-dwellers. They can sniff out prey from miles away and have a loud, ringing bark and bray. Of course, at other times, they’ll just be your floppy friend, fast asleep on the couch. 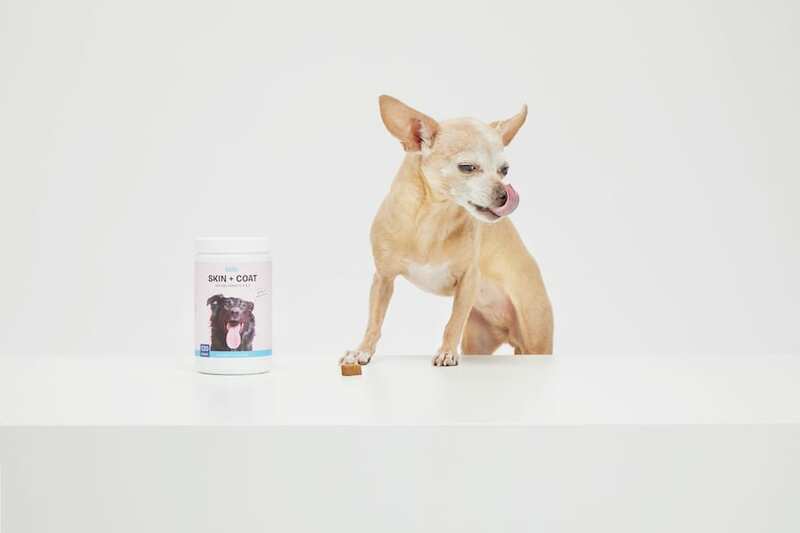 Originally from Mexico, this tiny dog is known for its confidence and sass. Although their petiteness makes them perfect for an apartment, their confident watchdog demeanor may keep the whole neighborhood up at night. While the right training should curb the constant noise, they definitely will let you know when someone (or something) is outside the door. The fearless and perky Min Pin is a great choice for those looking for a small dog with a big personality—-and bark. They’re known for yapping at everything from the mail carrier to a squirrel. Still, they make for fun companions and will alert you of any stranger. A beloved choice of dog for royals and commoners alike, this fluffy and fox-like pup isn’t known for being shy or laid-back. With an attitude that only toy breed dogs can muster, the Pomeranian is frequently a loud talker. Still, their playfulness and smarts may win over even those with the most sensitive ears. Don’t let this terrier’s elegant silky coat fool you: this brave and bossy little dog has a lot to say. If you can tolerate the noise though, Yorkies—like most terriers—make for great watchdogs. Plus, they’re content in both the suburbs and the city and will provide you with years of laughter and love. Although adorable with their scrappy appearance and little legs, the Cairn Terrier is curious, inexhaustible and, yes, an alert barker. Bred to root out rabbits and other furry creatures in the Scottish Highlands, this pup tends to make a lot of noise. Still, it has a softer side, and with the right amount of exercise, can also learn when it’s appropriate to be quiet. The frisky Fox Terrier comes in three different types: wire, smooth, or toy. Yet, although their coats and sizes differ, a key personality trait remains: they’re energetic barkers. Bred to flush out foxes, like most terriers, this dog is smart, tireless and loud. Luckily, with the right training, they also make excellent companions. Bred to be ratters AND guard dogs, don’t be fooled by the miniature version of the Schnauzer. Tough and fearless, these pups can also muster up the energy to bark for hours when they feel you need to be notified about…well, many things. With enough exercise and stimulation, they can also be lovely companions, especially for families with children. Due to their high prey drive and a sturdy self-esteem, these small dogs adhere to the reputation of terriers everywhere: they love to make noise. Furthermore, with their all-white coat and wide-eyed faces, the West Highland may look like a high-maintenance dog, but they’re not. Minus the racket, these perky dogs make for the perfect, self-reliant friend. Take everything we said about the terriers above, put it into one small, dog and multiply the energy and relentless prey drive by a hundred. Wishbone was a JRT, but when he wasn’t on set, he was probably telling his owners that BALLOONS ARE THE ENEMY (and then attacking the balloons and popping them in under 10 seconds flat). Small dog breeds usually take the cake for being the biggest barkers, but the Siberian Husky breaks the mold. These high-energy, athletic and independent dogs are known to be “talkers.” Not only will they bark in the backyard, but they’ll also make a range of vocalizations, including howling, yelping and sometimes, talking. Remember, any dog with the right training, patience and love can be the right pup for you! Although breeds can give you a guideline, every dog is an individual. Think any of these pups may be the Starsky to your Hutch? Make sure you do your research and adopt from a local rescue or reputable breeder! If you need help scrolling through dogs in your area, try using the app BarkBuddy, where you can swipe right to the right dog for you!